Angry birds Christmas edition will be free of cost ~ Download Everything You Need ! Great news Angry Birds Fans- if you've already paid 59p for the title Angry Birds Halloween then you don't have to pay for upcoming Christmas edition of the game. It will be available as a free update. This news is confirmed by official (Rovio mobile @ Twitter) game developers but disappointing news is that it'll not be available for android phones only for iPhone and iPad users. 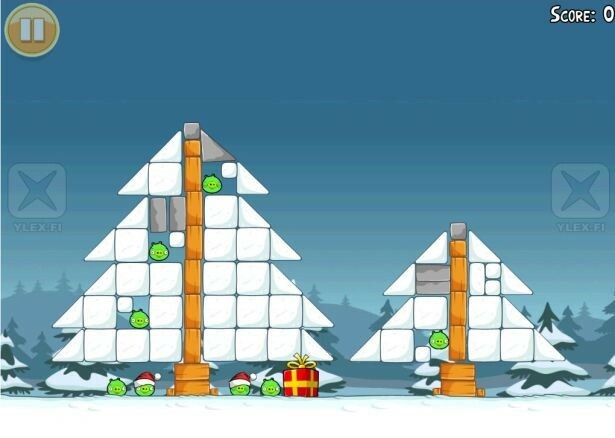 We are expecting that Angry birds Christmas edition will be launched on 11th December(First official Angry Birds Day) although there has still no official confirmation yet.